My Visit to Dept of Horticulture and a lil something…. Haa.. What a week. Everyday I come home with a determination to write a post only to dose off.. But not anymore.. I have got so much to tell and any more procrastination will only dilute the content ;). In Bangalore, there are few places that come to ones mind when it comes to buying plants/seeds. Atleast from the interaction I had with gardening people in bangalore, I didnt come to know about the Biotechnology centre, Department of Horticulture,Hulimavu. It was one of those google searches that showed me this place. It was a saturday morning that I decided to find out where this place is. I knew its somewhere nearby my residence but not very sure. Though I had lots of other things planned for the day, I wanted to just checkout the location so that I can come later. So I took my bike and vrooomed.. with some help from the roadside human GPSs i was able to find that spot. I signed in myself at the gate and went in. The road kept going and going with lots of greenhouses, polyhouses and numerous sapota trees on the sides. The very sight of these poly/greenhouses made me so happy. After close to half a kilometers ride, I find a huge campus with a main building. Yellow pear looks like this. One can do a google image search to see how each variety looks. 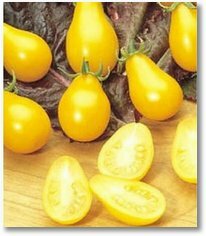 These seeds are heirloom varieties. To weigh and pack the seeds, I accompanied Chandrakala to the seed storage room where the seeds are kept in a huge bluestar temp controlled environment. After taking all the seed packets of all cherry tomato kinds, I went to billing. The amount was 20 rupees. I paid once, Rs 90 for 1gram of cherry tomato. The difference is huge. Once the seed purchase is over, I went to the field along with her. The fields were fully with lush green plant. They call it “Green Manure”. Its a special variety that is grown for a period of time and once they matured they are harvested and put back in the soil. I was told that it cuts the fertilizer requirement for the next crop by 50%. Oh, I forgot to mention one important thing, they use only organic methods for production here and not a single chemical is allowed inside. Next I went to vermicompost section, I saw earthworms eating away black slurry and producing black gold. Again a shock, a kg of vermicompost that too of a very good quality was Rs 3.00 and outside it starts from Rs 10 and goes upto 30. Bought a 10kg bag of vermicompost and turned my attention towards BioFertilizer division. They had the Mycorrhiza packaged in bag and its name is VAM. Vesicular-Arbuscular Mycorrhiza. Also got Tricoderma and P.S.M (Phosphate Solubilizing. Microorganisms ). Let google be your friend here. All of these are for experimentation with my plants. With all these goodies with me and lots of happiness I left that place with this thought “One searches for happiness around the world and comes home to find it”. This place is just 2-3 kms from my house and has almost everything that I need. I had biked to places that are more then 25kms far just to get some seeds. Hmm…. I am not done yet and so are my tomato plants. Here is the last weeks harvest. There were almost 125 tomatoes big and small. This one is what I have been longing for a while. It looks and tastes so sweet. When a plant is happy it shows. This one became my desktop wallpaper immediately. Last but not the least. The Egg plant(literally). After seeing this, its not surprising to know why it is named so. here branded vermicompost costs Rs 30 upwards, wish i could get my hands on some from B’lore!!!! btw, do you have any rose plants now ? much as i wish to use only organic stuff ,cant help using rose mix for my roses…. 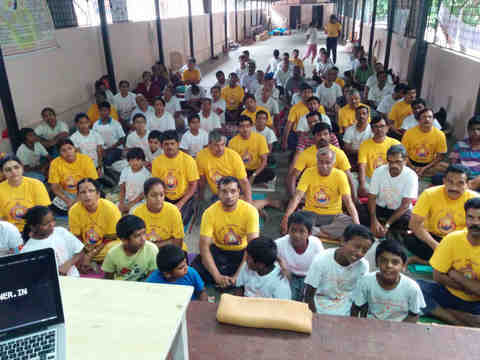 Remember sometime back you got the panchagavya from Greenlands chennai. You can get vermicompost from the same place. Not sure about the price per kg. It would be nominal i feel. Yes I have lots of rose plants ,around 10 of them. Those pictures of roses you see in this post are from my plants. Nowadays, I am not very strict about organic methods. For flowering/ornamental plants, I use inorganic methods too. Esp for containers. 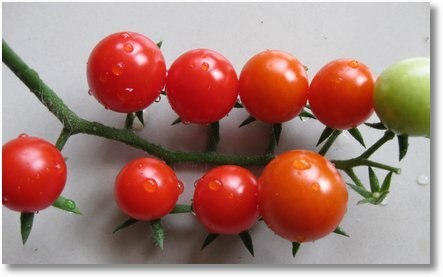 Thanks for the wonderful post and awesome pics of tomato’s, egg plants and yes, beautiful roses. as the companion would not be able to digest the madness of a person visiting the same stall again & again, and discussing the things in detail with whosoever understands my language(the language of plants). 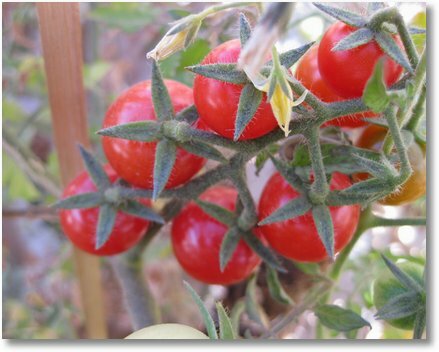 Your plants really look very healthy and the bumper harvest of tomato’s is enough motivation anybody to take up gardening. The egg plant seems to be growing in a coco peat + perlite mix, correct? Which organic manure you have added in it? Have no words for the roses they are outstanding, so how much sun light they get? Could you please let me know the feeding schedule? my roses this year are badly hit by spider mites neem oil has reduced the problem but, still they don’t look that healthy, The double delight is flowering but the flower size is smaller than what it was when bought. Nice to hear from you. I can totally relate to what you are saying. Going alone is what I prefer when I visit places like you said. I can spend hours literally without getting bored. We are a different species altogether ;). 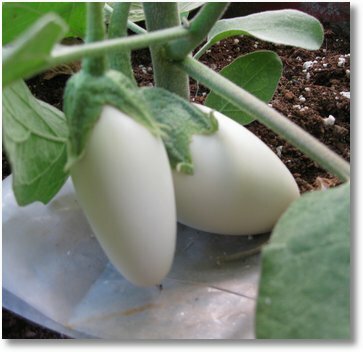 Yes you are right, the egg plant is growing in cocopeat+perlite and not just that. The potting mix contains equal parts of loam, vermicompost, cocopeat and just a handful of perlite since its quite expensive. I use vermicompost most of the time and if it doesnt really show any difference I add a dash of ‘Miracle grow’ water soluble fertilizer to it. But I use it very rarely. I know it is not organic. For container gardening, the nutrient supply is very less (with daily watering it also leaches away) and with stuff like cocopeat, perlite and all that. The beneficial microorganisms are very less in the pot that it would be in the ground. Anyway I have got some bacteria culture. Let see if they bring out something..
For the roses, they get 6 hours of direct sunlight on a south facing corner on the terrace. Roses, I use vermicompost, and once in a month I use Epsom salts+Rose mix ( those with high P). My roses were hit by spider mites too. First time I used panchagavya mix, and it got rid of it. Then these mites came again after sometime but at that time, I ran out of panchagavya and eventually i got one but it was not as effective as the first one. ( I think the formula matter a lot). Right now, for ornamental and flowering plants, I use chlorpyriphos to control variety of insects. If I am not wrong, you are from Delhi?. You are using water soluble fertilizers right. What are their brand name. What I often find missing in my soil mix is trace elements. Your hydroponic experiment is really very good. Are those special containers easily available? How are gardening shops in your place. Do they answer properly to queries or do they try to sell their stuff to you. I have lots of such stories from Bangalore. i havent been able to see your rose photos, hence my query. seeing you all devote all the time and energy to your plants, i feel my efforts are on an amateurish level… atleast as regards the potting mixture, i havent even laid eyes on perlite or cocopeat etc… maybe thats because i havent ventured into any vegetable gardening yet.. for all my potted plants ,i just use red soil, sand and compost..
currently my interests are devoted to mostly flowering plants- hibiscus [ not many now after the attack by the gardener], aralis, nandhiyavatais, gundu mallis , and of course roses. I even have a parijatham in a large pot – it hasnt started flowering yet, but the one before it did and when it grew too large for the pot i transplanted in the garden at the back – have a small rectangular garden – 15 ft by 4 ft – most of it is in the shade of the next door neem tree, so i have a couple of hibiscus, a parijatham and a nandhiyavattai. btw, can you put in photos with the comments? Considering the commitments you have, what you are doing right now needs an appreciation. There is a reason why I moved from soil to soiless (cocopeat, perlite). Since I primarily do container gardening, it involves lots of moving around and with garden soil it gets very heavy and difficult. Moreover my balcony becomes really dirty ( from the drainage) if I use soil. Cocopeat, on the other hand, is so fluffy and lightweight.Same with perlite, it is used as a replacement to sand. If I have a piece of land, then I wouldnt use any of these. I feel Redsoil, sand and compost is good anyday. I mean it. Once you start loving you plants you start understanding their needs. You always want your plants to grow healthy they should not just only grow but they should thrive. In order to do that you keep a close eye on plants, and it all starts from there. You look at the leaves you find out nutrient deficiency, you figure out the attack of an insect or fungus. How the plant is flowering how the fruits are growing. Then you find yourself reading about the agricultural science. Experimenting and understanding the terminology. In Nov, I visited the agro expo and found a stall from Dept. of horticulture, Andhra Pradesh (Yes gg I am from Pune, India) they were exhibiting flowers I started discussing about roses with their representative and he was so impressed that he stopped entertaining the customers and stared explaining the details about rose gardening to me on a paper. I had to stop him whenever there was a customer. This was my second visit to agro expo and I was surprise when a person came to me and said – last year you were inquiring about hydroponics did you find anything? 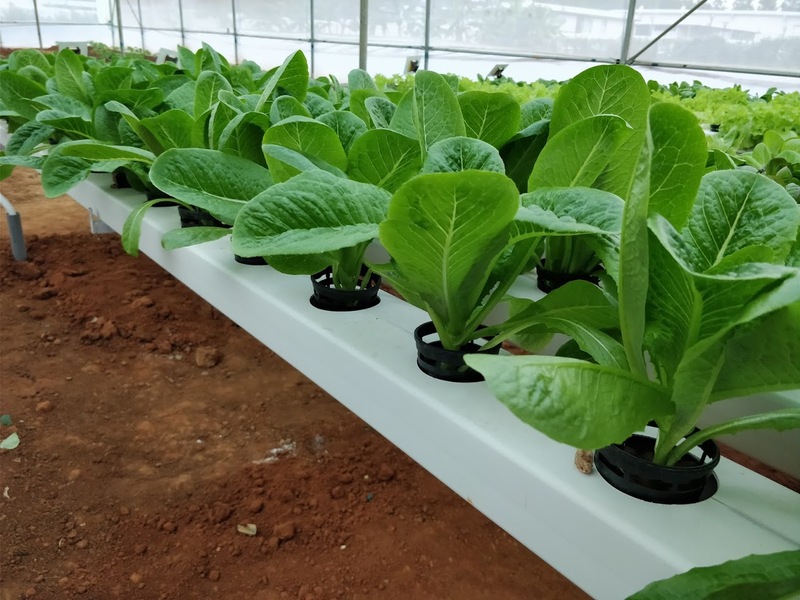 In India hydroponics is still not popular where as you can grow 10 times the crop compared to the conventional method. Recently I learned about an initiative in Bangalore India http://www.petbharoproject.com/ they have some short courses as well. You don’t get anything related to hydroponics in India. I have used the auto pot & some plastic cups (made holes in them using the soldering iron) used a water soluble fertilizer and bought air pump from a pet show. Have a also bought a small water pump. Now I need a timer to automate the system but instead of buying, I am thinking about making my own, using a relay switch controlled through serial port. One of the tomato has started production. The other big was suddenly shocked probably the calcium nitrate (N-18, Ca-15) I added to the 13-40-13 even though in a small quantity has done something wrong. I leached it with water and now buds have started setting in again. You have mentioned about micro organism in soilless media, I wonder how the N & P become available to the plants if no chemical fertilizer is used. Please let me know if you have thought about it. I have read that roses love magnesium sulphate you can use is a foliar spray for quick results. Have never tried it, have to buy a pack for me. Thanks for the detailed very useful reply. I have seen lots of YouTube videos on hydroponics but never really tried it myself. Tomorrow I am gonna check out the next batch for training in hydroponics. Once we have a working system to begin with in hydroponics, its pretty much like growing in soil i guess. Its sometimes frustrating that you dont get lots of horticulture materials in India, though we claim agriculture is the backbone of our country. May be I think gardening is still not considered a serious hobby in our country.Anyways, we will get there slowly. By soilless, I do not mean hydroponics but media that contains soillike stuff such as cocopeat, peat, perlite etc. For microorganisms, you need to add soil. In my case, I add loam and vermicompost. That, to some extent takes care of adding microorganisms to the media. I am not a soil chemistry expert, but from what I read from websites, even chemical fertilizers need to be in a form that can be taken by plants. Say for example, N is easily available and quickly taken by plants when in Nitrate form than Ammoniacal form.Does that make sense? Yes, roses love epsom salts. In the sense, magnesium is not related to flowering, but it makes the plant so green(it is important constituent in Chlorophyll). Once you add epsom salts, you see basal canes coming up. These canes are very sturdy and will bear mulitple blooms. You get Epsom in medical shops too. Sometime back I was in search of N-P-K with high phosphorous ( something like 13-40-13), but had a hard time finding it in bangalore. Which is the brand name you are using?. There is a street in Bangalore just for fertilizers but they are more interested in fertilizers that move a lot. Water soluble fertilizers are expensive and hence farmers cannot afford them(this is the answer i got). Good luck with building your hydroponic setup. Great find, gg. I can feel the tingle and the excitement! I love your roses. to start a new topic, do you all communicate with your plants – i mean, you might think i’m nuts- but many a time i’ve begged , pleaded and even threatened my plants …. i always think of the Mother [ Pondicherry] when planting new saplings and hope that the plant would thrive.. have you all visited the Mother’s ashram in Pondicherry ? The flower arrangements there are truly wonderful..
No you are not alone. I do lots of talking (though silently) with my plants. My plants have an effect on my mood. I can recall several occasions like taking cuttings and waiting for them to root; seed starting; pests haunting my plant. When I see a tiny root peeking out, i go around whistling and a burst of confidence flows in. Back when my cherry tomato flowers started falling off, I was so down for couple of days and asked everyone in my house to pray. I had been to Mother’s ashram very long ago. I remember seeing a beautiful garden. There is a product called ‘Keradix’ available in chennai Horticulture society ( cathedral road). That gives OK results. Or We get one rooting solution here called “Quicroot” in bangalore. Check if you get this in chennai. If you don’t then I can get one here and send it to you. Though I love cactus, its a big NO-NO in my house. Oh wow! This is so exciting! Imagine hitting the mother lode like that! I can totally understand just how exciting this find is for you. But I’m a bit puzzled, I always thought that Bangalore was a great place for gardeners. I thought you would be swamped with garden stuff. It was exactly the same feeling I had when i found that place. You are right. Bangalore still is a great place for gardeners. Weather-wise ;). I don’t deny the fact that there are many nurseries selling thousands of varieties of plants. What hurts me is, the prices are just not justified. People get cheated like anything. A kg of vermicompost is just Rs 3.00 and outside it goes upto Rs 30. There were times were you get a plant in polythene bags for Rs 5-10. and pots for Rs 25-30. You cannot get the same now. Another set of people I cannot tolerate is those who try to sell their stuff to you. I ask for a slow-release fertilizer and the guy gives me a pack of NPK 19-19-19 and tells me it has everything in it. Same issue with people selling pots. I again went there to buy some 4 different kinds of mint varieties like peppermint, japanese mint, bergot mint and all. Guess How much i paid? Rs 3.00 per plant. That too rare mints. You get the idea. Thanks for the medical shop clue for magnesium sulphate, I got 20g packs there costing Rs. 6, Have asked him for the bigger pack. Could not hold myself back and applied the Epsom salt to my rose plants abt. 2g each. Could you tell me in what quantity and how it should be applied? Can Epsom be applied to other plants? To get the high chlorophyll leafy growth? How much vermicompost you add to the rose containers, a handful? The problem with using inorganic rose fertilizer is that we don’t know the formula and hence we don’t know what we are feeding to our loved once. How do you figure out whether they are high in Phosphorous? About the basal shoot: The gentleman from Andhra hort. soc. told me that the basal shoots bear more flowers is true (as you have also pointed out in one of your post) but, we should not allow them to grow because they eat up most of the nutrients and hence the other canes dont grow much and the plant geometry is disturbed which is very imp. for the plant. My exp. latest with basal cane : one of my orange color rose thrown out a basal cane I was happy imagining lot of healthy flowers but, the cane kept on growing and it grew up to almost 5′ with no sign of buds it may be due to excess nitrogen but, I had not applied any inorganic fertilizer to it. Any thoughts? They have the marketing network in Bangalore. I add a teaspoon of it for every pot(for 12″ dia). I read from the web, that it also helps the plant to take nitrogen. Also be careful, too much magnesium will result in poor uptake of calcium/potassium. I do a foliar spray and basal dressing too. Tomato plants love epsom spray. For vermicompost, I work a handful of it for each pot. I dig up the soil to an inch and mix the compost in it. I didnt understand your question on Inorganic rosefertilizer and formula. With inorganic fertilizer we know the NPK value right. If you meant organic, the answer is the amount of NPK is very very less in organic form. Its around 2-4% max of N,P or K. I also add sometimes bonemeal to the plants. Sometimes they react well for it and sometimes no reaction. For the basal shoot, I kind of agree with the fact that it changes the shape of the plant. But I wouldn’t worry if they take more nutrients. As long as they bloom well, I am happy. After all, Blooms are the whole purpose we grow them. For nurserymen, yeah, shape might be a selling point. Another word of caution with basal cane. I have explained in one of my earlier posts on how to identify suckers from basal canes. Shoots arising below the graft joint(budding joint) are suckers. Suckers are shoots from root stocks, which are rose varieties that root quickly but don’t flower ( at all). So shoots that comes below the joint will have a different leaf pattern than the one on the scion. Those shoots/canes must be readily removed. Did I answer your question? GG, Well done and thanks for your good work. I’m interested in visiting this place, pls provide me the address and contact person for this. I stay in brookefield. Now you’ve got me drooling! Do you know whether they’ll mail / courier seed packets to Mumbai ? Bought Panchagavya from an Aurvedic medicine shop today. Could you please let me know how much it needs to be diluted before spraying and the frequency of spray? I tried diluting it but the ‘ghee’ does not seem to dissolve completely. Did you get the water soluble fertilizer from the address which I had mentioned? So, which vegetable you are planning for the spring? Different sellers sell panchagavya at different formula. The ones I buy here dont have that much ghee( may be little diet conscious… 😉 . Anyways, there are some solid particles that get precipitated. After I dilute the liquid, I filter it and use it in my sprayer. I checked the Vardhaman fertilizer dealer in bangalore and its quite far from the place I live. So I am planning to get it in sometime sooner once i get sometime. This spring, I am planning to grow Okra, Capsicum(Bell peppers) and ofcourse tomatoes. For Okra, I have already kept 10 pots ready with mix. (This processs made me a Kilogram lighter). This weekend, I will sow the okra seeds. Capsicum seedlings are on their true leaves stage. I have also sowed watermelon in a 20L bucket. I realized when I was mixing the potting mix that hydroponics is such a good thing. I have to soon register with petbharo.org. So much to do so less time. Just read one of your old post and got the answers of all of my questions except the question about dissoving. Hey your blog is becoming a reference point. Just came across this while visiting your posts. This is awesome. Just can’t imagine, there are people who do different things in a different manner, and the majority doesn’t even know about ‘eco friendly’, ‘human waste’, ‘reusability’, ‘alternate energy’ terms. did a bit of reading up on chlorpyriphos, seems quite toxic – thats the idea regarding insect pests but what are the precautions that we need to take ? 1. Always use a glove while handling insecticides. 3. Use 2ml/Litre of water. 4. Spray on the plants, early morning. If I do it later in the daytime, the wind increases and the spray is not proper. 5. Spray it under the leaves surface. That is where the insects stay. My roses were literally ruled by these insects and now not one of them. I’m so sorry I forgot all about sharing the address to buy the plantings at ECR Road. Before VGP, on the left side, keep looking for a nursery named ‘Rose Garden’. I’m not sure about the address and landmark. Planning to go there this week – will get you the exact address then. BTW, you can email me for any details at chandramouli.s@gmail.com. Feel free to do so. Regarding the aphids, try Luphos 36 – it worked wonders on my hibiscus plants that were heavily infested with aphids and other sucking insects. I bought it near Ranganathan St., T. Nagar at Sakthi Seeds. I’m sure you’d get that at any outlet. If you had noticed the insecticides that chandramouli, myself and fungardener have used/suggested, all of them end with ‘phos’. Most of the chemicals will get rid of Aphids/mites.They are also known as acaricides. They all fall into category of Organophosphates. These compounds affect the nervous system of the insects and kill them. It is toxic for humans as well. But the concentration we use to kill the insects are so low that its not a problem for humans as long as we don’t inhale them frequently or in high concentration. Use with caution. Go ahead .. Reclaim your garden. I also read about your comment on vermicompost costing 30 bucks, well I was surprise as it costs only 20 here and if you go for earthworm compost it’s only 12 bucks so I gues you should try other places too. Good to know you get it cheaper. Hey Vermicompost and earthworm compost are one and the same. They why the price difference? Regarding ECR , there are a good number of nurseries on the right side close to the toll gate near mayajaal. Dont remember the name, but at one of these nuseries a small boy ,maybe 10 years old, was very knowledgeable about plants and also very helpful. i ended up buying more plants as a result. btw where do we get the earthworm compost for 12 bucks ? maybe the extra cost is for the brand name here too !!!!!!!!!!!!! Thanks for stopping by. For the long wait, Good to hear that I am not alone 🙂 but sad that its the same everywhere. But the wait for worth it. I went through your blog.. Its amazing. I was speechless when I saw the transformations you have done to your garden. You should be named ‘Transformer’ ;). How is like in Barbados.I hear about it in exotic getaway schemes from travel companies!! How is the weather there? Is it Humid? Very intersting bog indeed for novice like me. It is really motivating me to start gardening on our terrace. Could you share how you guys haven taken care of water drainage from pots?? Its really good to hear people getting motivated to do terrace garden. The terrace space is too precious to waste. For your question, I didn’t quite understand it. Do you want to know what we do for drainage in pots? or How do we take care of the water drained from the pot. For drainage in the pots, make sure there are enough holes in the bottom and fill a layer of pieces of broken pots. For mud/cement pots, I make two holes in the bottom. Plastic ones come with 5-6 holes themselves. Share some information about your garden too. Sorry for messing up with my question. I meant the water drained out of pots as it will stain the floor below. I am worried that it may harm the roof in the long run. For now I have only 5pots and I have minimised their contact with the floor by keeping them on stones on four corners. I have few medicinal plants right now.I have started with Pudina(mint), Bhahmi( Ondelaga), Amruthaballi ( Tinospora cordifolia). I am looking for a lemon plant which can grow in a contatner. I need to check on this in Lalbagh or Hulimaavu nurseries. I am assuming that they are better. Do you suggest any other less expensive nurseries? Also, I have started on making organic compost. My dream is to have a theme based terrace garden in the long run ! Your blog is, indeed, a good morale booster for me. I lve in Chennai and would like to buy some lovely flowering plants like Dahlia, Chrysanthemum, Balsam, Daisy, Orchid etc or their seeds. And yes I was looking for some vermicompost too. If you can give me the contact address or phone nos of places sellig them then it would be a great help. Also, you can check with chandramouli [ inartliesmyheart.blogspot.com] for cheap source of vermicompost. For flowering plants, I am not very sure of the places that sell them. I came to this site when i was searching for worm sellers in Chennai.I have been unsuccessful so far. Welcome to my blog. You can try contacting GreenLands in chennai. They have a “Goshala” in guduvancheri with a vermicomposting unit. They will be able to help you. S. Rajagopalan: Hi, as gg said, you can contact the Greenlands people. I get the vermiwash, panchakavya from them. They also have Vermicompost – you might check with them as to where you can look for worms. Again, you can dig some in your own pots/yard – I’m sure there’re plenty. I find them in my pots too! You can use them in your composting bin and they multiply in no time. Thanks for the contact Info Chandramouli. Last time I spoke to Greenlands, they had the ‘composting’ earthworms. SR, I am sure they will be able to help. Thanks for the information.I will contact the Greenlands and try to get the earthworms.My thanks to Chandramouli too fot helping. your blog is just G8. for your information in my area (manjeri, malappuram district,kerala (near calicut) ) vermicompost is only Rs.14 per Kg. if you buy 50 kg or more it will come down to Rs.12 per Kg. Thanks. Vermicompost is very cheap in bangalore. In DOH it is 3/kg and outside it goes upto 8/kg. 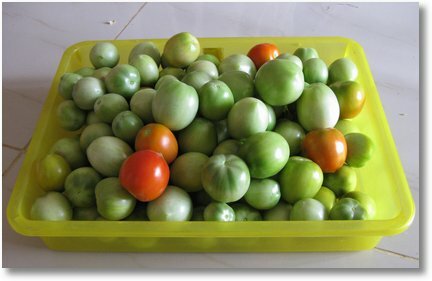 I think in kerala, you may have easy access to Composted coir pith since they have abundant coconuts ;)..
nice to c u’r blog .esp.u’r tomatoes and green house. For starters like me, what plants I can choose and sow. I am not getting soil here. where can i get soil and manure. Thanks for visiting my blog :). Spinach(Palak), Methi, Mint, Radish and ofcourse tomatoes are quite easy to grow. You get the seeds as well as soil, manure in Lalbagh. I am visiting ur blog for the second time. its more informative and u have a nice garden. I just started my veg. container garden with okra and radish, radish is good, but with okra, some white pests are swallowing the fruits. Needs ur advice on treating the plants and also advice me which veggies suits for our weather now and where to get the good quality seeds and necessary manure . I am living in chennai. Appreciate ur reply. Thanks Pushpa and Sorry for the delay. White pests are nothing but Mealy bugs. You can take rubbing alcohol or surgical spirit, mix it with water 1:1 and apply on them with a cotton and they will die. During this summer, you can succesfully grow tomatoes, brinjals, chillies, Okra and all kinds of melons and gourds. You can get good quality seeds from Sakti seeds in Natesan street or there’s another shop opposite to Eswar Bookhouse (I don’t remember the name). You can spot it easily with all the pots, spray cans hung in the front. That person was friendly too giving advice on growing carrots in this hot summer! I got the carrot seeds and plan to try it… Good luck! I’m sure we all learn a lot from GG. Thank you, GG. By the way I live close by to Bannerghatta road as well. Hey I was looking for basmati grass quite sometime. Do you have one to spare?. I can trade with some seed/plant.. :)..
You dont get cocopeat in DoH . I have a small rose garden on my terrace – about 15 plants of various variety – like pink, red, deep wine red, yellow, pale pink, white, orangish etc. I tried regular insecticides (NUVAN dichlorvos 76% EC from Syngenta) with regular doses and later on with stronger doses but it did not help. I am seeing my rose plants weakening and dying in front of my eyes and can’t do anything about it. Will you guys please help me? If you need, I can send you the photographs of the affected plants and leaves. My e-mail id is . Please help me – my plants are dying. Sorry for the delay. Due the volume of comments, it takes some time to get to every query. From the symptoms, it appears they plants are deficient of nutrients. The symptoms indicate possible nitrogen, Iron and magnesium deficiency. 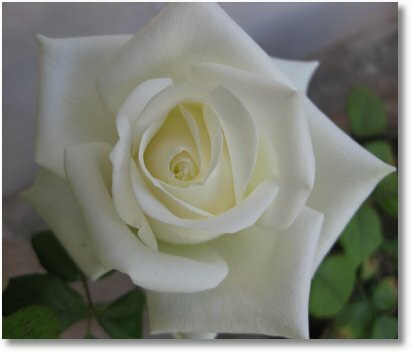 I would suggest you buy a rose fertilizer ( popularly called rose mix) and add as per the instructions on the packet. 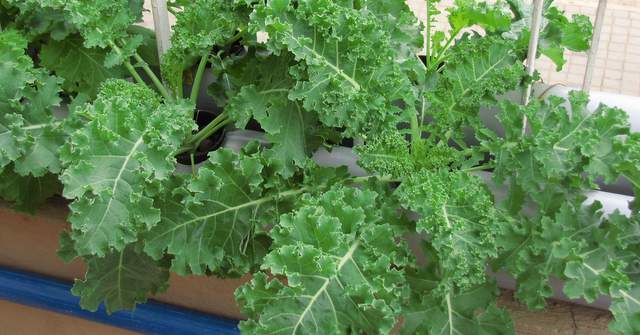 Generally, water soluble NPK 19:19:19 should give a good boost to your thirsty plants. 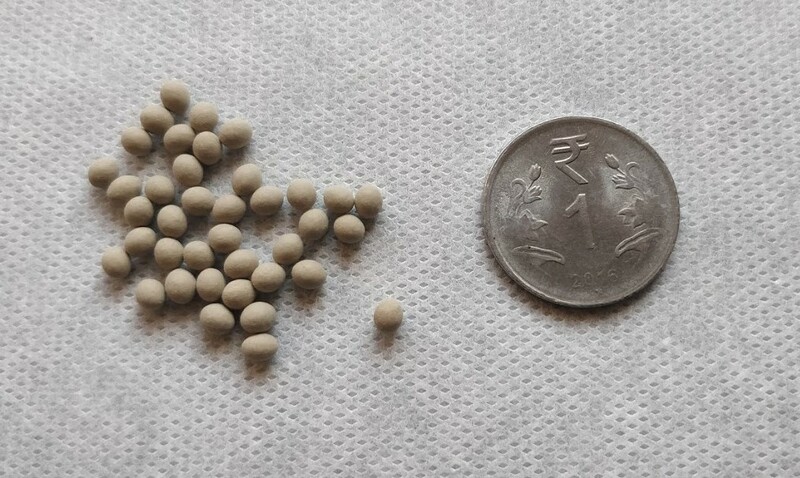 You can dissolve 3g/litre of water soluble fertilizer and water them every week. It doesn’t look like insect or disease attack and hence pesticide application wont help. You can also send some pictures or their link to me so that I can confirm the same. Many many thanks for your guidance. I think, I should have mentioned that I fed the plants with UREA (white crystals which look like sugar crystals) and possibly have overfed them. All the same, as soon as the shops open tomorrow (20/8/10), I will buy the proper fertiliser and do the needful. By the way, where do I get Epsom salt (or Epsom)? What do I request to the shop owner? Will Epsom be helpful too? How do I send the photographs to you? You are welcome. Urea is just nitrogen (~ 46%?) and other elements have to be supplied as well. You can get Epsom salts in many medical shops. Just ask for Epsom. 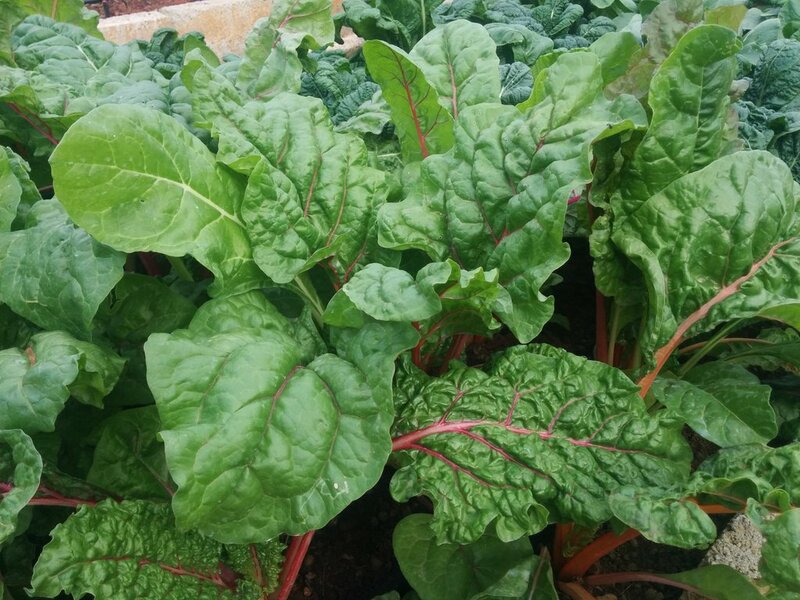 Magnesium is essential for photosynthesis and also increases the uptake of nitrogen. 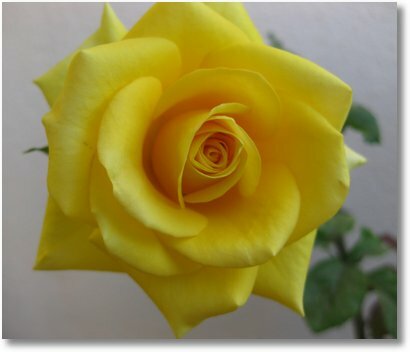 You will get many Basal canes in the roses. You can upload the photographs to any of the sites like flickr.com, picasa etc and send us the link. I could not get Epsum but the chemist gave me “Magnesium sulphate” and said that it is equally good. Pls. advise. Guess what? Epsom IS magnesium sulfate. Its a common name. They are one and the same. Enjoy. I was able to find it in wikimapia. It is under the name BioCentre. I also have added a comment to it now. Check it out. Any comments after seeing the photographs? I had a quick look. It appears like nutrient deficiency. Excellent blog gg.. Great job.. I like your yellow pear and Thanks for sharing with us.. Extremely useful info particularly the last phaase 🙂 I deal with such information much.